Rep. Steve Stivers, the chair of the National Republican Congressional Committee, recently sat down with Business Insider. 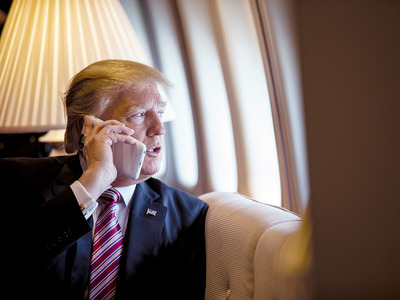 He spoke about Republicans’ plans to hold their slim House majority – and possibly build on it. The president’s party has lost an average of 28 seats in his first midterm election since World War II. Stivers also spoke about sexual misconduct allegations that have swept through Congress and about allegations against Roy Moore, the Republican Senate nominee in Alabama. The president’s party loses an average of 28 seats in his first midterm election dating back to World War II. And Republicans are preparing to head into the 2018 midterms under potentially even more daunting circumstances: with a president who has approval ratings lower than any president at this point in modern history. It’s Rep. Steve Stivers’s job to protect the thin Republican majority in the House of Representatives. Stivers, the chair of the National Republican Congressional Committee, admits it will be a tall task – but he also thinks Republicans could gain seats if they play their cards right. Business Insider sat down with Stivers on Sunday at The Irish Pub in midtown Manhattan. 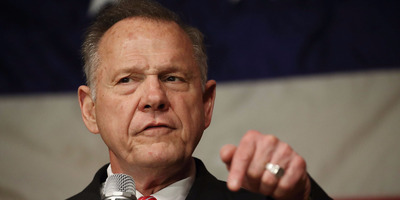 He talked about the midterm elections, the GOP plan to overhaul the federal tax code, the allegations against Alabama Senate candidate Roy Moore as Alabama voters head to the ballot box on Tuesday, similar allegations sweeping Congress, and more. Brett LoGiurato: I wanted to start with 2018. You guys went 4-0 in special elections this year. Steve Stivers: 5-0 if you count – we had to win Georgia-6 twice. BL: Right. In general, what are the lessons you’ve taken from this year going into next year. Historically, it’s always shaped up to be a tough year for the party with the incumbent president. SS: Yeah, history would show it’s a tough year. But I think we have – No. 1, the team matters, and we have the best team in politics. No. 2, campaigns matter. And we learned how to run campaigns. We were outspent by $US30 million in Georgia-6, and we still won the race with a good candidate better than the president won it. He won it by one point in 2016. In ’17 in the special election, we won it by 4 points. But we had a good candidate and a good campaign, and we had to get our voters to turn out. That’s the other lesson of 2017 specials: You’ve gotta make sure your people turn out. We learned how to do it, we know how to do it, I think we can get them to turn out in 2018. But we’re going to prove it again. SS: Well, you know, it’s important to remember that Hillary Clinton won Virginia by 6 points. So we’re not talking about a swing state anymore. The way I define swing districts – 5 points or less is swing. She already won it by 6 points. They grew that lead a bit – true. 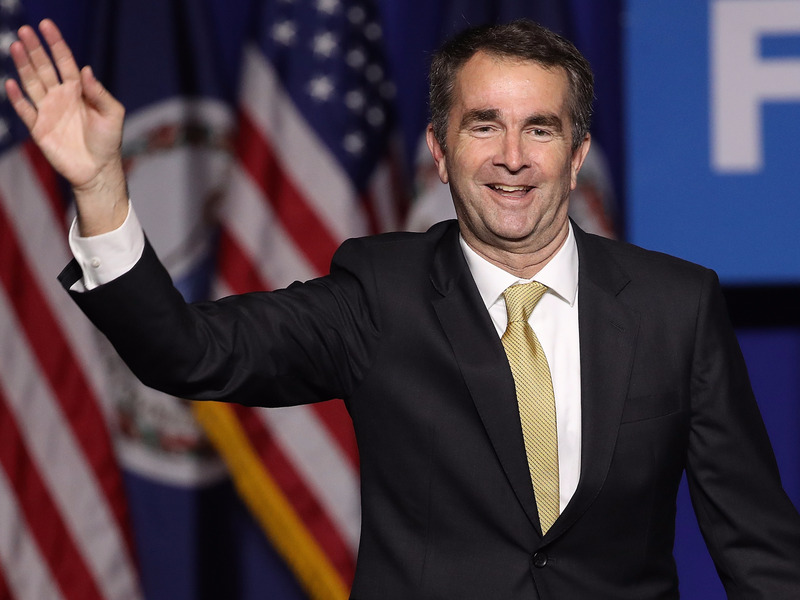 They also outraised [Republican gubernatorial nominee] Ed Gillespie by several million dollars and outspent him by several million dollars just in Northern Virginia. I know they want to make a lot out of Virginia, but it was a blue state that turned a little bluer. The real question is, what happens with good candidates in swing districts that understand how to win in tough races with the NRCC? I feel comfortable. We’re going to hold or own, and they may pick up a few states. But we’re also on offence. Don’t forget that. There are 12 districts that the president won that have Democrat members. Three of them are retiring. We’re going to win some of those. BL: What do you spend most of your time think about, both individual races and in broad clusters? SS: We have to play 3-D chess and be ready for lots of things. I am laser-focused on making sure our patriots, the people on the front lines for us, are doing a good job getting legislative victories and running good campaigns, and have good staff and are ready to go. But I’m also at the same time building that firewall to make sure that Democrats can’t expand the playing field. So you can look at Cook Political Report. You can look at Rothenberg. You can look at Sabato. Most of them probably have 50 to 60 races in play. I would say around 45 on average are reasonably in play. And some of them are Republicans, and some of them are Democrats. There is no way with a field that narrow, Democrats will be able to pick up 24 net seats. Because if I win two or three of those open leaning-Republican seats, that means they have to win 27. That’s really hard to do in a field that’s that narrow. So the second thing I’m trying to do is make sure we build the firewall in our races that are the next tier. The third thing I’m thinking about is offence. [Pennsylvania Democrat] Matt Cartwright just took a bad vote last week. He is in real, real trouble. [Minnesota Democrat] Rick Nolan is going to face the best candidate he’s ever faced in Pete Stauber. Tiffany Shedd is a great candidate in Arizona’s 1st district. So it’s 3-D chess. Always staying on offence, being ready with our first-line defence, but doing defence in depth so they can’t expand the playing field. 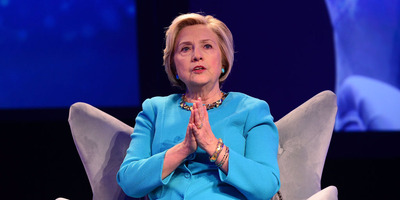 Lisa Lake/Getty Images for Geisinger SymposiumHouse Republicans are mindful of districts where Hillary Clinton won. SS: Suburban districts, especially southern suburban districts. But I would say [Pennsylvania Rep. Pat] Meehan and [Pennsylvania Rep. Ryan] Costello are in that firewall. People like [Texas Rep. John] Culbertson, even though he’s in a district Hillary Clinton won. So those are kind of the firewall districts. There are a few other suburban areas where I want to make sure our folks are ready. But I feel really comfortable. BL: How much do you think about California Republicans? SS: There are a lot of those Hillary Clinton-won districts. And there are suburban districts in California. I think about our clusters. We have clusters in Minnesota on offence, in New York and California on defence, so we’re certainly not ignoring them. I try not to necessarily think of them just in geographic terms, but when you boil it down to pure geography, those are some places we’re absolutely looking. BL: What are races that are bellwethers for you, that people can look to? What’s one race that will tell you if you’re in for a good night – and one that will tell you if you’re in for a rough night? SS: I think Meehan and Costello are bellwethers on our side. Bellwethers on how we’re doing on offence would be John Chrin in Pennsylvania [17th district] and probably Pete Staubber. How will failure to repeal Obamacare affect enthusiasm? BL: One of the big themes of 2016, and why President Trump got elected, was the promise to repeal Obamacare. How much are you going to push for that to get done in 2018, and how much do you think it will be a detriment to enthusiasm if you don’t get it done? SS: I voted for our bill in the House and I was hoping it would get done. At this point, we haven’t gotten it done. The Senate didn’t get it done. We have to live in a real world where sometimes there are little setbacks. I think voters are willing to forgive not getting everything done. But they’re unwilling to forgive not getting anything done. So we better get tax reform done. We better get infrastructure done. As our tax reform package starts to work, two things are going to happen. There will be pressure on wages and there will be shortages in jobs – in employees to fill jobs. So we’re going to need to get something done to make our workforce development programs work, so that all these millions, the 10 million forgotten Americans who are not on unemployment and not even looking for a job, can get back in the workforce and live the American dream again. But they might not have the skills for the jobs that are open. So we’ve got to do programs that help them with that. We don’t have to get everything done. We just have to get enough done. BL: The politics of tax reform are interesting to me. SS: I believe it’s very important to get it done because I believe it’s going to grow the economy, increase wages, bring unemployment down, bring employment up, get people back in the workforce, and put money back in the pockets of hard-working taxpayers. Economic growth also cures a lot. We haven’t seen a lot of true dynamic models score this thing. Joint [Committee on Taxation] I think said it would only grow the economy one-tenth of 1%. Well, we’ve already seen economic growth go up 1 percentage point this year as a result of the policies we’ve started. I believe if we get tax reform done, we’ll be above 3% economic growth. This tax reform is all about the piece nobody talks about. Everybody talks about the money it puts back in people’s pockets. Which is important. But the essential part of this is not just that it puts money in people’s pockets. Is that it grows the economy. That’s what the corporate reform is all about. I believe that the expensing is going to be a huge deal that reduces corporate expenditures and grows the economy over the next 12 month. BL: The big sticking point in the House seems to be the SALT deduction. What’s your position on what to do about it, especially considering some of your members in New York, New Jersey, and California? SS: We need to do better on some changes and some transitions for the folks that have depended on the state and local tax deduction. Many of them happen to be in high-tax jurisdictions. I do think we should blame the local and state officials for having high taxes and shouldn’t subsidise them that much. But I also know in the world of practicality, we can’t ignore the fact that people in those areas need to make sure the tax system works for them too. I think we need to make some changes from the current draft. BL: Will that be along the lines of a compromise that’s being talked about – making it so that people could deduct income and sales taxes in addition to property taxes? SS: Yeah. I think there are a lot of ways to do it. I personally prefer the simple version of: We have a $US10,000 limit on property tax deduction. I would make it property and/or income, and I would take it to about $US20,000. That’s what I’d do if I were king. There’s lots of ways to get there. BL: The estate tax. The House version repeals it entirely, the Senate doubles the threshold. SS: We can work through that. The estate tax is mostly about dollars that have already been taxed as ordinary income, capital gains, or dividends. I don’t believe in double taxation simply because somebody died. But the Senate version’s not terrible. But I prefer to do away with it because I don’t think death should be a taxable event. But I’m OK with the Senate as a backup. BL: It’s a pretty emotional environment out there. 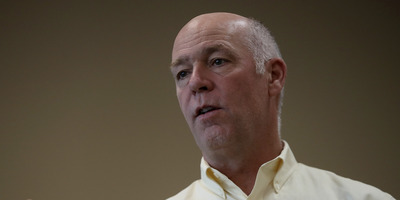 I think you’ve seen that firsthand in Montana with Greg Gianforte, now a congressman from Montana, who pleaded guilty to assault in an incident with a reporter days before the special election there. How are you advising candidates to deal with both making sure an incident like the one in Montana doesn’t happen again – and also, some candidates and members have gotten threats themselves? SS: I’ve gotten threats myself. So yeah, it’s a very charged environment. It’s beyond emotional. It’s charged. And obviously, in a charged environment, just a little spark can create a big problem. We have told our candidates and our members to keep your cool. But be safe. Look out for your safety and that of your family and your constituents. Because there are people out there that want to actually commit violence, whether it’s guys like that guy who shot Steve Scalise or have threatened other members. Our political system is very important. But one of the most important parts of our political system is the peaceful transition of power and the peaceful decisions in our republic. BL: What’s the biggest change in how you’ve approached campaigning under President Trump? SS: That’s a great question. No individual fundamentally changes campaigning that much. It’s about having the right candidates. It’s about making sure you tell people what you believe. It’s about making sure you have the resources to run a campaign. Politics is still about that. It’s always been that, and will always be that. I think the president has highlighted the rise of social media. I think in a social-media age, there’s a way for some of our candidates to get known across the country, which is something the other party has typically done better than us. But it’s something we’re gaining on very fast. Our digital team I think is the best in politics. BL: How are you planning to employ the president on the campaign trail? SS: The president has done whatever we’ve asked him to do. He’s been a great asset in every district. Whatever we’ve asked him to do, he’s helped out. We will use him in the best ways we can to get the most bang for our buck. We’ll definitely take advantage of that. BL: Given what’s been going on in Congress for the last month or so, with a bevy of members facing allegations of sexual misconduct. Are you concerned at all of the ramifications of what happens if Roy Moore gets elected as a Republican senator? SS: Alabama is a very special case. The voters of Alabama have decision to make Tuesday. They will make them. I don’t think you could rewrite that in another campaign if you tried, because the circumstances are so unique that I think you’d have a hard time translating that to any other race in the country. So I think Alabama, whether Roy Moore wins or loses, I don’t think that sends some signal to anything. I think it’s foretelling of nothing. It’s just that – a unique set of circumstances. BL: You were one of the first Republican leaders to call for him to step aside. You asked for your money back. Are you disappointed that the RNC has gotten back in the race and that President Trump has gone full-bore for him? SS: If I was at the RNC, we probably wouldn’t have stepped back in. But everybody makes their own choices. But it’s not like – the people of Alabama have a tough choice to make. They have got to decide what works for them. The Constitution gives voters of every state the chance to elect their senators. That’s their responsibility and obligation, and I’m sure they take it seriously. I know they have got a tough choice. SS: I think Blake has some real thinking to do. It’s important to note the Office of Congressional Ethics, in a bipartisan way, by a vote of 6-0, they did not see reason to pursue a case against Blake Farenthold for sexual harassment. That said, there’s a new investigation going forward. I don’t know anything about what our Ethics Committee is looking it. But I take it seriously, and I think Blake has some thinking to do. BL: Do you view it as a good thing that Nancy Pelosi is still the leader of the Democratic Party in the House? SS: Nancy Pelosi is an agenda. It’s not personal. Nancy Pelosi represents an agenda that voters turned away from in 2010, 2014, 2016, and the special elections in 2017. It’s not personal. It’s about what she represents. The voters remember the agenda Nancy Pelosi represented as speaker. It’s easy for people to remember that, and they have a pretty strong opinion of it. It’s pretty negative. So I think that helps us. I can say empirically, it helped us in Georgia-6. BL: Any predictions on what’s going to happen next year? SS: It’s way too early to make too many predictions. But we have the best team in politics. We’ll have enough money. And we’re ready to run the campaigns we need to to hold our majority and grow where we can. I think we’ll make it even tougher for them by picking up a few of these open Republican-leaning seats that make it even harder for them to gain the majority. We’re going to stay on offence. I can tell you that. BL: How often do you look at the Cook Political Report, Larry Sabato’s Crystal Ball, and things like that? SS: I don’t obsess about it. But when they have changes, I look at it. They have been making some changes. They have been changing some ratings as a result of Virginia and some other things. But even today, after all those rating change, there was a great column – I think it was in the Rothenberg Report – that said there’s just not enough seats in play today for Democrats to take the majority or for Republicans to lose it. BL: What’s the one thing that’s surprised you the most about this new role this year? SS: I was surprised how some people can make anything personal. It’s amazing. You post something nice about your kids now on Facebook, and there are people who say nasty things. And I always knew that, I’ve been in tough races. But wow, it goes to a new level when you become NRCC chair.